SSAB has given Green Cargo its continued trust in handling the crucial flow of steel ingots and finished products between SSAB’s plants in Luleå, Borlänge and Oxelösund. The new agreement, which goes into effect on January 1, 2020 and extends at least five years beyond that, covers the Norra Stålpendeln line between Luleå and Borlänge, the Södra Stålpendeln line between Borlänge and Oxelösund and the shunting services at SSAB’s production plants in Borlänge and Oxelösund. The volumes total approximately 3 million tonnes a year. “From the start, we were in discussion with SSAB about what new properties a newly streamlined transportation system needs, and on that basis we worked intensively with the goal in mind of finding different solutions. I would like to say that we have utilized our solid and wide-ranging railway competence while honing it with a great deal of innovation and entrepreneurial spirit, in order to build a system that meets and handles SSAB’s needs and challenges,” says Carl Stjärnesund, Strategic Account Manager at Green Cargo. The procurement process lasted for a year and a half, with a focus on jointly developing the existing system to be more reliable and cost-efficient while increasing flexibility in order to meet SSAB’s future — and more fast-moving – overview of their requirements. “The Stålpendel lines are enormously important, and are integrated into our production flow. They connect our steel mills and rolling mills, which is an absolute must for our operations to work effectively. Going forward, our future production apparatus will also be even more flexible, and the need for transportation between and out of the plants will vary over time to a greater extent than previously, over both the short and long term. That is why we need a transportation system like Green Cargo’s, which can handle these variations with a high degree of reliability and flexibility,” says Rickard Backlund, Senior Manager Logistics at SSAB. One of the keys to achieving a more efficient and more reliable system is the 16 new Transmontana locomotives that Green Cargo is investing in. The locomotives’ increased tractive power means that the same amount of steel products can now be transported with 200 fewer trains per year compared with the current system, which considerably increases cost efficiency while the currently heavily burdened infrastructure is utilized more efficiently by Green Cargo. 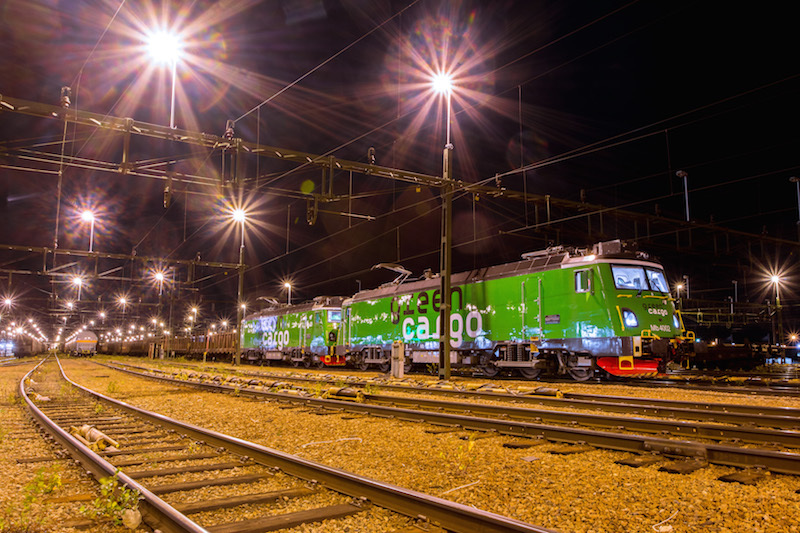 In addition, the operating safety and quality in the transportation system will increase with Green Cargo’s new Co-Co locomotives, which are adapted for extremely heavy freight transportation. In addition to superior tractive power, the locomotives have a range of technical adaptations for our Nordic climate and are equipped with modern automatic energy recuperation during braking, which results in more efficient energy consumption and reduces environmental impact. “We are pleased with and proud of our continued collaboration with SSAB. It shows we have the resources — our fantastic employees and our vehicle fleet — that are required to meet the transportation needs of the steel industry as regards both capacity and the environment. We have succeeded in designing a transportation system that delivers in accordance with SSAB’s stringent requirements and expectations,” says Richard Kirchner, SVP of Commercial at Green Cargo. SSAB develops high-strength steels and provides services for better performance and sustainability. The company is a leading producer on the global market for Advanced High-Strength Steels (AHSS) and Quenched & Tempered Steels (Q&T), strip, plate and tubular products, as well as construction solutions. SSAB’s steels and services help to make end products lighter and increase their strength and lifespan. SSAB’s production plants in Sweden, Finland and the US have an annual steel production capacity of approximately 8.8 million tonnes. SSAB has approximately 15,000 employees in over 50 countries and net sales of SEK 66 billion (2017).